Raise awareness with High School students? Is it possible to give speeches to high school students to avoid physical problems in your life? I believe having a greater than one month period knocked unconscious riding on a bike might be helpful. I also have left shoulder, left hip and left foot injuries as well as aphasia. I'm looking for support .. I want to know better how to encourage her to communicate in other ways. Practicing conversations in a virtual environment. 'EVA' is a computer based language treatment. You will practice talking in a virtual communication environment. 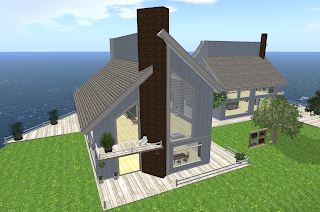 We have built a private virtual world with houses, shops, parks, restaurants and bars. If you live in or near London this may interest you; but you need to be quick .. there are only 20 places! Is there a software program that is really simple to use and allows the patient feedback/encouragement? And also what adaptive equipment can the patient use to assist in daily routine activities communications. I heard there is something out in the market place called a lifebook. A flip/card that displict daily activities. My brother in law who is Italian, aged 61 has recently had a stroke . I would be grateful for any help on information ie to translate english apps to Italian .